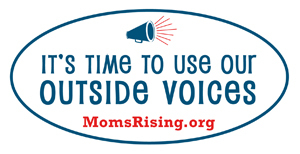 Ask Your State Legislator to Protect Mothers in the Workplace! It is legal in Pennsylvania for an employer to ask you if you are a mom during a job interview. Then, that information could potentially keep you from getting the job. The fact is that maternal profiling is alive and well in Pennsylvania and it is time for it to stop. Tell your Pennsylvania State legislators that employment discrimination against mothers is wrong. A bill (HB 1984) has been introduced in the Pennsylvania State House that would prohibit employers from inquiring about maternal or marital status in a job interview. The state legislators need to hear that there is wide support for this important legislation! Contact your Pennsylvania State legislators and ask them to do everything they can to pass a bill that will protect moms!